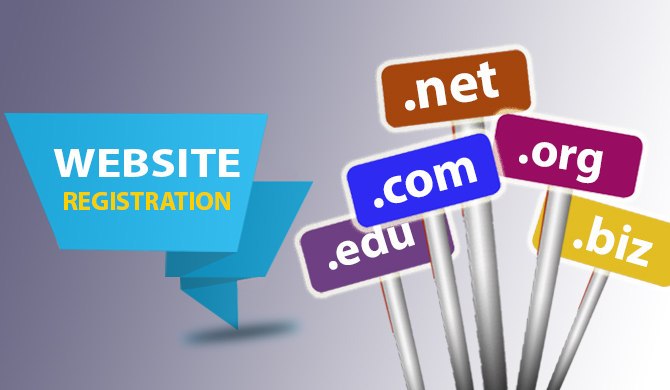 Website registration or Domain registration is the most important aspect in any business. It’s where your brand lives and conducts business. Having your own domain name makes your company look professional. More than anything else, a domain name can increase awareness of your brand. If your domain name matches your company name, it reinforces your brand, making it easier for customers to remember and return. It will also be easier to win business via word of mouth because customers will remember your name and pass it along to friends. Register your website name with Virtuanic Solutions and take advantage of our incredible prices. You can register any Top Level Domain 24/7 from us within few minutes. We provide 100% domain ownership and control panel for domain management. Every day lots of domain is registered online. You should register your company domain name as early as possible before someone else register it. Website registration in Bangladesh will increase the brand value of your company. By registering a domain, you can easily introduce your company products and services all over the world. You will have your own email address that will improve the trust level in business email communication. We have domain checker in your website. You can check the availability of your suitable domain name. In Bangladesh, domain registration is still complex. But Virtuanic provides easy online web registration service. You can register your domain from our website without any problem.